Early Bloomer is a specially formulated bloom booster designed to promote development of bud and flower formation during the early stages of the bloom cycle. Early Bloomer also contains a special ratio of micro-nutrients designed to optimize floral development in all flowering plants. Use in combination with Liquid Blue for maximum bud and flower development. 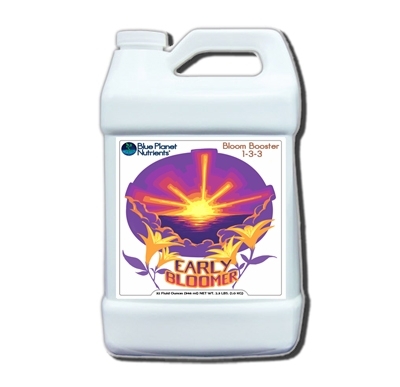 Early Bloomer is formulated for use in Hydroponics, Aeroponics, Coco Coir, Soil and all Soil-Less growing mediums.